Canada's biggest bank is joining with other major financial players to create a new stock exchange that the creators say will keep costs low and discourage computerized high-frequency trading, which some say is sapping confidence in market fairness. Royal Bank, mutual fund conglomerates IGM and CI Financial, pension fund PSP Investments and international banks ITG and Barclays are combining to create a new stock exchange they're calling Aequitas. The name is the Latin word for fairness, and the financial titans founding the exchange say that idea will be a cornerstone of the new exchange. "Through Aequitas, we have a compelling opportunity to create a level playing field for both retail and institutional investors by challenging certain predatory high-frequency trading strategies which have impacted the quality of existing equity markets," said the company's new chair Greg Mills, who is also RBC's co-head of global equities. High-frequency trading is the term used to describe the type of computerized trading activity where sophisticated algorithms take advantage of pricing and market inefficiencies, often by trading millions of shares in nanoseconds, and making incremental profits on the transactions. The practice has become increasingly prevalent, but detractors say it encourages speculators and leads to the sort of sudden "flash crashes" where markets begin to inexplicably tank, because the systems aren't intelligent enough to pause for reflection and merely make automated hair-trigger decisions based on microscopic changes in stock prices. It's also been claimed that high-frequency trading abuses natural market prices, because traders can quickly place "dummy" orders to buy and sell that they have no intention of following through on, just to gauge interest in a stock, and move the price of it in one direction or another in the process. These strategies negatively affect the liquidity of listed securities by discouraging true market-makers, resulting in excessive costs falling squarely on investors, the company said in a release. Jos Schmitt, the man who would be president of the new exchange, told CBC News in an interview that investors aren't well served by stock markets as they are currently constructed. "We are getting rid of certain behaviours which, at the end of the day, are a tax on the individual investor's trading," he said. Intraday trading volatility is higher than ever — some estimates say as much as a third of the trades on the TSX and more than half on the NYSE are high-frequency traders, on any given day. "Somebody is causing that volatility and somebody is taking advantage of it," Schmitt said. 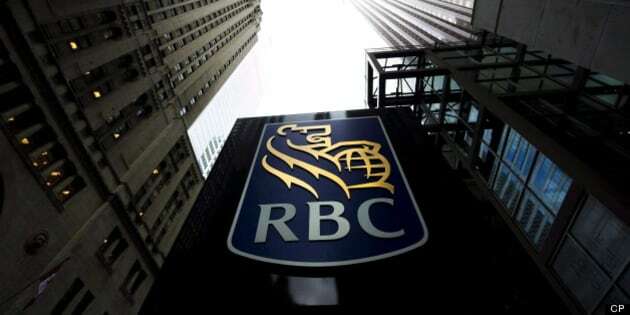 RBC was not part of the consortium of financiers that formed Maple Group two years ago, as an alternative to a proposed merger with the London Stock Exchange that was on the table at the time. Schmitt said the investors backing the plan have given the idea a strong vote of confidence, but it shouldn't be interpreted that trading on the TSX and Aequitas would be an either/or proposition. "We want to provide services for all types of companies and investors," he said. "And we want to make sure we grow the pie." Schmitt also said Aequitas will stop well short of banning high-frequency trading outright, just that they're going to limit some of the more deleterious sides of the practice, such as latency arbitrage, rebate arbitrage and exploratory trading. "We're saying, 'Come and trade here because it's an environment that's protected,'" Schmitt said. "We're creating a microcosm where good trading activity takes place." It remains to be seen whether Aequitas truly levels the playing field for small investors — much less brings down costs — but the new exchange will make it easier for investors to buy into private share and unlisted companies, two asset classes that are currently out of reach for most retail investors. "As marketplaces cater to volume, they can damage the quality of execution for those who actually want to hold something at the end of the day," said Scott Penman, IGM's chief investment officer and vice-chair of the new company. IGM and CI together own more than $125 billion worth of Canadian equities, heft that will certainly provide the new exchange with enough trading activity in the short term. Indeed, the presence of major mutual fund firms — who are collectively known as being on the "buy side" of the industry because their core business is buying securities — makes Aequitas different from other TSX alternatives that have come before. Such as Alpha Trading Systems, a rival trading platform that made inroads before being dissolved when Maple Group gained control of the TSX last fall. "Alpha was backed by the banks [and] big dealers, Aequitas is backed by the buy side," University of Toronto economics professor Andreas Park said in an interview. "That tells you something about buy-side needs [and] interests." Aequitas's founders expect the exchange to be operational by the end of 2014, pending regulatory approval.